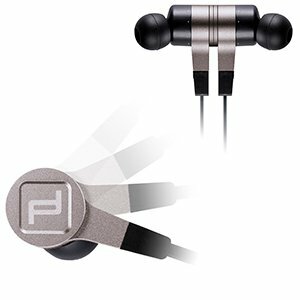 Over the years I have owned and reviewed a number of IEM's and headphones, being a positive person my reviews generally err on the side of generosity. 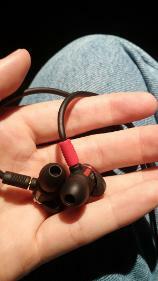 This IEM forced me to go back through my reviews and adjust my ratings. The overall package and sound of the DJE1500 required it to be separated from everything else or I wouldn't be doing it justice. It is the first 5 star rating I have ever given. Now this doesn't mean I might not hear another IEM that is better but as of now it is the best dynamic based IEM I have heard, PERIOD... Now having said that I want to remind everyone that it is the perfect IEM sound for me not everyone else. For people wanting massive bass these won't do, similarly for those who love bright, or detail above all else again this IEM will not meet your needs. But for anyone wanting a good healthy dose of ALL OF THE ABOVE I think you might find the DJE1500 fits the bill. As far as accessories goes you get the standard combinations of silicone single flange tips, and one set of Comply tips with the wax catcher. While the included tips work I am not a huge fan of Comply tips and found the bullet shape of the default tips not super suited for my ears. So I ended up testing Sony hybrid or UE wide mouth tips with great success. The Sony tip will give you a darker more subdued midrange and treble sound compared to the original tips while the UE tip allows more midrange and treble detail through. 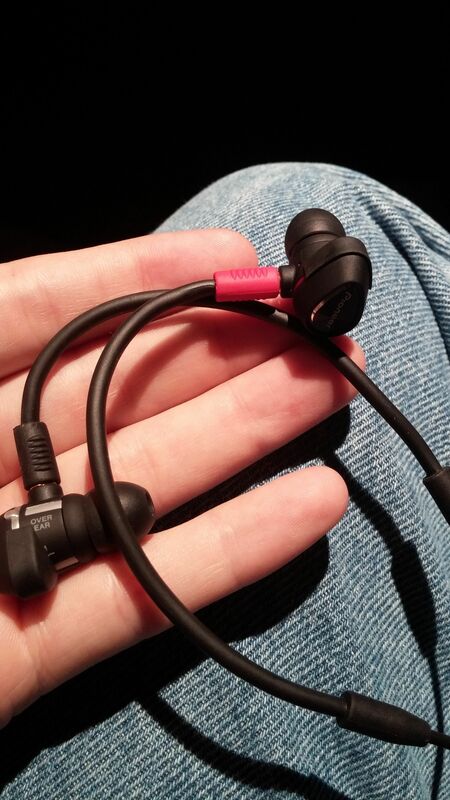 This IEM uses the same detachable cable system as Shure, UE900, and several other manufacturers which will allow for cheap 3rd party cable replacements or expensive high end cable alternatives. 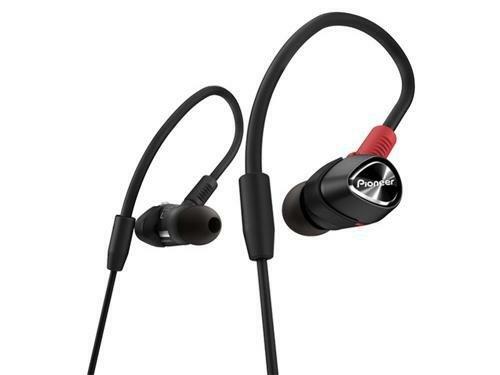 Personally I have tried the UE900 blue iPhone cable and a Samsung S4/5 Android cable successfully but both reduced the treble detail detracting from the IEM sound, but may be perfect for anyone who find treble energy to tiring. In regards to the original cable, it offers a slightly to long a cable for portable use but is manageable due to it's extremely soft cloth covering and soft easy to manage memory wire section, it looks damn near perfect for the intended DJ audience. I have to say the quality of this cable out ways any length or non mic qualms I have. 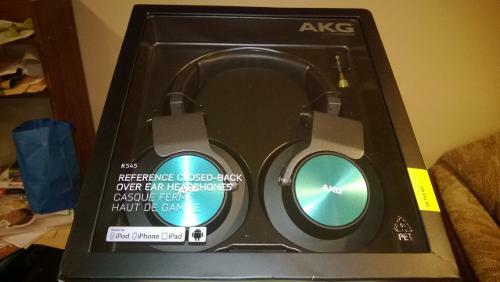 It sounds fantastic and works well on my home desktop rig as well as off my LG G2 phone. Microphonics are not perfect but above average in my opinion. 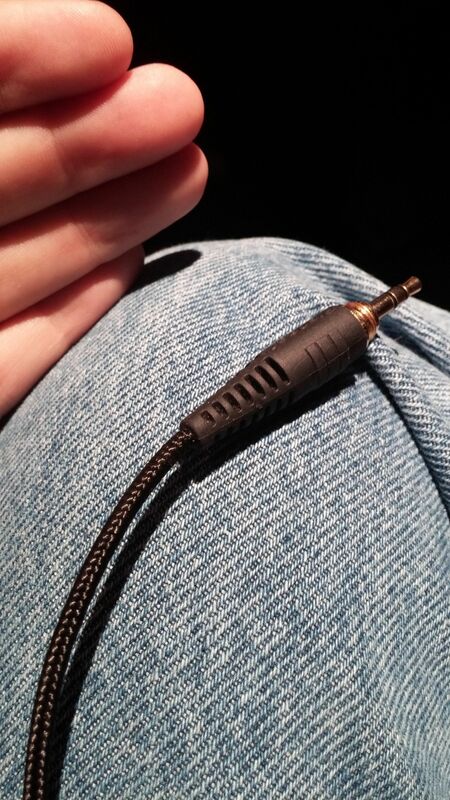 The original cable may never have to be "upgraded" for users looking for just a straight stereo connection. I have actually ordered a $90 upgrade Samsung Android cable in the hopes I can get the same quality of sound as the original cable while having the controls and mic on my phone because I couldn't accept the difference in quality from my existing 3rd party cables and the original. 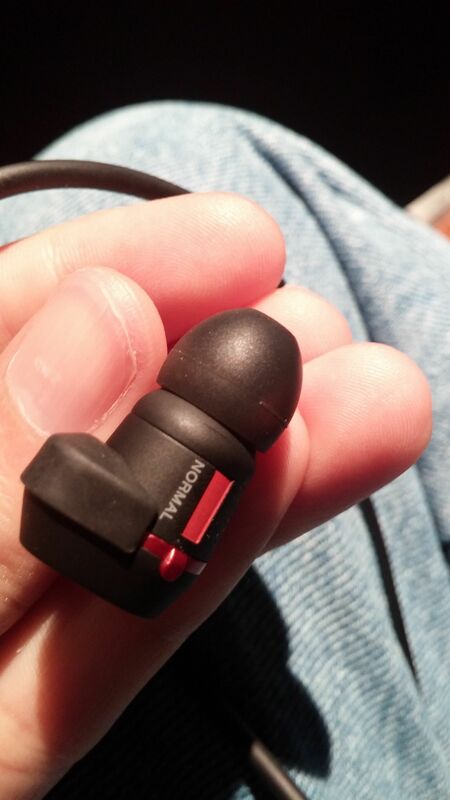 One thing I really find cool about this IEM is it's ability to transform from an over ear to a regular down ear IEM. It accomplishes this through a dial that allows you to adjust where the cable is positioned in regards to the IEM's shape. Here are some pictures of the various positions. So how does it sound? In one word FANTASTIC! I have owned a plethora of high end IEM's over the years ranging from the Sennheiser IE8, UE Triple-fi 10, UE900, Earsonics SM3, Sony MDR 7550, Sony EX1000, Sony XBA-H1/H3, Sony XBA3, and more. Almost all of these have been sold by me because of one short coming or another that just started to bother me. Some had great detail but were two fatiguing or lacked bass presence, others had amazing sound stages but at the expense of the midrange, some had almst everything right sonically but were ergonomically challenging or susceptible to wind noise while out and about. The DJE1500 has managed to fit almost every single check mark I want in an IEM and where it falls down simple manageable 3rd party accessories can address the problem. Bass - The bass in these is north of neutral but in a very expansive and enjoyable way. It does not just have massive bass slam which can be fatiguing and it manages to have great texture and decay so other instruments like Cello's, bass guitars, and the lowest registers of a piano sound wonderful while still making drums sound awesome. The only music I find the bass a bit over cooked is electronic sub bass. The bass of the DJE1500 is not overly mid-bass or sub-bass oriented but fairly linear albeit slightly boosted over the other ranges. Midrange - The midrange is nicely neutral to maybe ever so slightly forward. Tip choice can affect the upper midrange though. When using UE tips for example some artists who strongly enunciate S's can come across as borderline sibilant but with the default tips or the Sony hybrids this is not an issue. I find the midrange to be engaging and detailed but never so detailed or analytical as to be boring. Treble - The treble is clear and detailed especially with the UE tips but never fatiguing in my experience. I love how instruments like cymbals are reproduced. They have nice sizzle and crash without becoming strident or shouty. The treble is about in the same place audibly as the midrange. 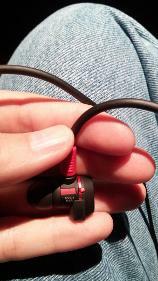 Sound Stage and imaging - The sound stage and imaging of this headphone is simply off the charts. 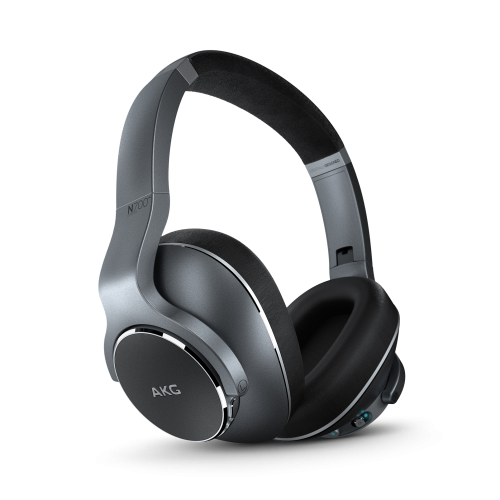 It is in the same range as the best Sony IEM's and the IE8 but without the veiled midrange of the IE8 or the wind noise and quirky ergonomic issues of the Sony's and the IE8. I was continually amazed at how drawn into classical music I was with these. The sound stage was nice and broad with good depth and fantastic instrument placement. I was similarly impressed with well done classic rock, jazz, Celtic, and other genres. This IEM reminded me why I like this area so much. This IEM while not necessarily better than the IEM's I have mentioned has for me struck the best balance of detail, sonic signature, imaging, sound stage, ergonomics, build quality, and after market component options to get a perfect 5 star rating. In regards to the Sony IEM's in particular this IEM sounds the closest to the MDR-7550 but with deeper harder hitting bass and better treble, a perfect blend between the EX1000 and the 7550. When I bought the Sony XBA-H1 and H3 I was hoping both would be what the DJE1500 ultimately is in this regard. ehjie, DanMar and earfonia like this. 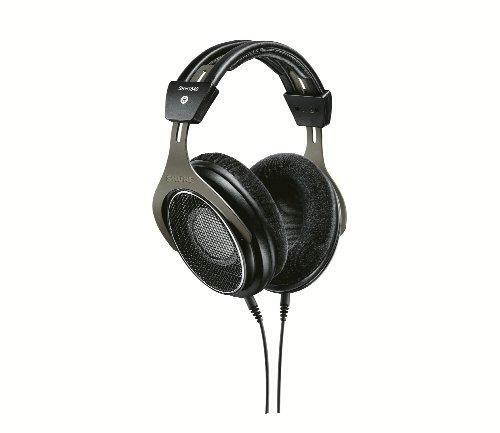 In the meanwhile I've found a good offer on DJE-1500 and I'm really enjoying it but, unfortunately, I need something with remote: among others, I'm interested in t10i, the ie8i and, but the budget significantly rises, shure se425 (and I should buy the cable as a spare). What would you do if you were me? too much redundancy between dje and t10i? would shure worth the extra (significantly) cost? 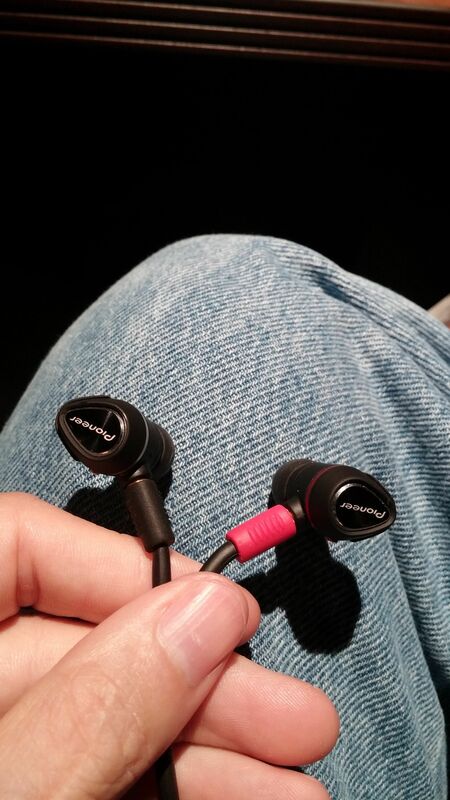 Since I would need a good isolation, maybe sennheiser wouldn't be the right choice, aren't they? Please, consider I'm using an iphone 6 only, at the moment, without any amp and/or dac. @dweaver I just picked a pair of these up, based on your review. 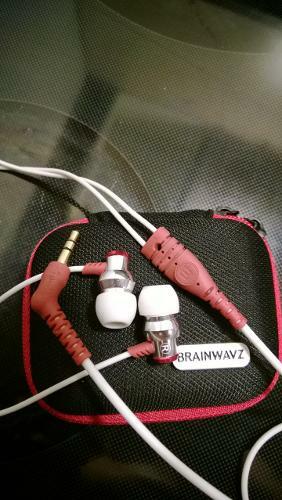 I was wondering how they compare to your Sony XBA-Z5's? Pioneer makes suprisingly good hp's and iems! !